The Strategy & Operations Management Association (SOMA) serves UCLA Anderson students interested in learning more about and exploring careers in the fields of “Internal Strategy / Corporate Strategy“, “Operations and Supply Chain“, and “Data Analytics“. 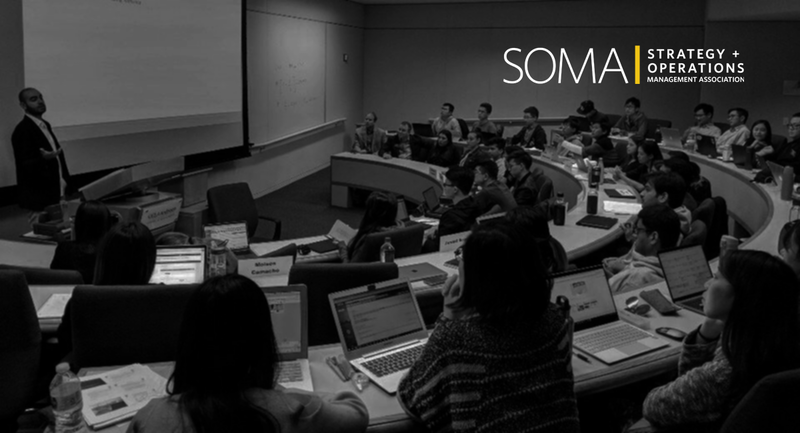 SOMA has propelled Anderson students into industry opportunities and learning experiences with alumni and the broader business community through career nights, company presentations, workshops and networking events. The club conducts several analytics and data sciences workshops throughout the year to help club members get data-smart for their summer internships and also full-time careers post-Anderson. SOMA is committed to strengthening and expanding its professional network in the best interest of its members.